Adding garden water fountains to your landscaping is a fantastic way to amplify the ambience of your back (or front) yard spaces. 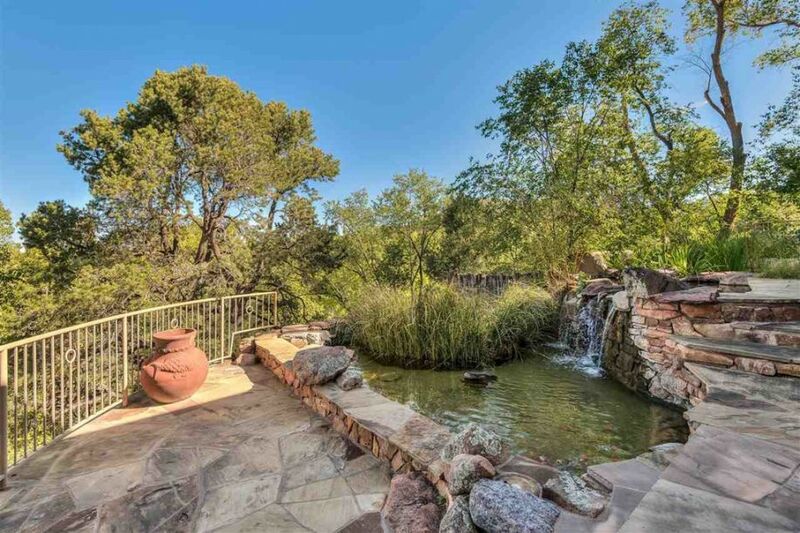 To me, there is nothing more relaxing than the sound of a pond waterfall trickling in the background as you are lounging on a back patio, and nothing more beautiful than a well layered rock accent alongside greenery and flowers. 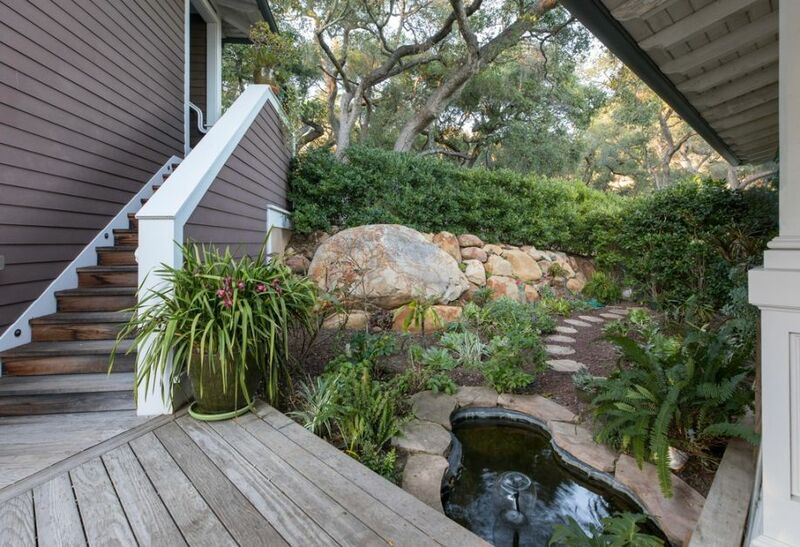 This homeowner did a great job at creating a very natural looking feature out of an obviously man-made pond. It is actually not very hard to install a water fountain for home by yourself and, with the right skill level, can be one of those weekend projects that instantly upgrades your landscape design. Spring is just around the corner! Wouldn’t it be nice to update your garden with beautiful outdoor water features​​? When it comes to eye-catching garden design, fountains are the most appealing additions in the landscaping world. Nothing mutters serenity quite like listening to the soothing trickle of a water fountain in the privacy of your own backyard. Outdoor fountains​​ have the power to transform the overall ambience of your entire garden. Whether your space is small and intimate or stretches over acres of beautiful landscaping, the right ​garden water fountains​​ will create the appeal of a relaxing oasis. Water fountains are low maintenance and don’t have to be a high cost to you. Even if you do not have a large yard or garden you can still incorporate a water fountain into your designs. A pondless waterfall, re-circulates a smaller stream of water to allow you to enjoy the peace and tranquility of this type of feature, without the hassle of installing and maintaining a large pond. These types of backyard waterfalls are great for use as patio fountains and in Japanese themed gardens because this design emphasizes small, simple, and natural features. When creating this type of theme in your yard it is important to remember that a Japanese garden fountain should contain simple designs, earth-tone colors, and natural accents such as stones and rocks. I have always thought that a flagstone patio is such an effortless way to upgrade your landscaping without it seeming too overdone. I love the natural look it brings, that really helps to marry the man made elements with your properties natural surroundings. 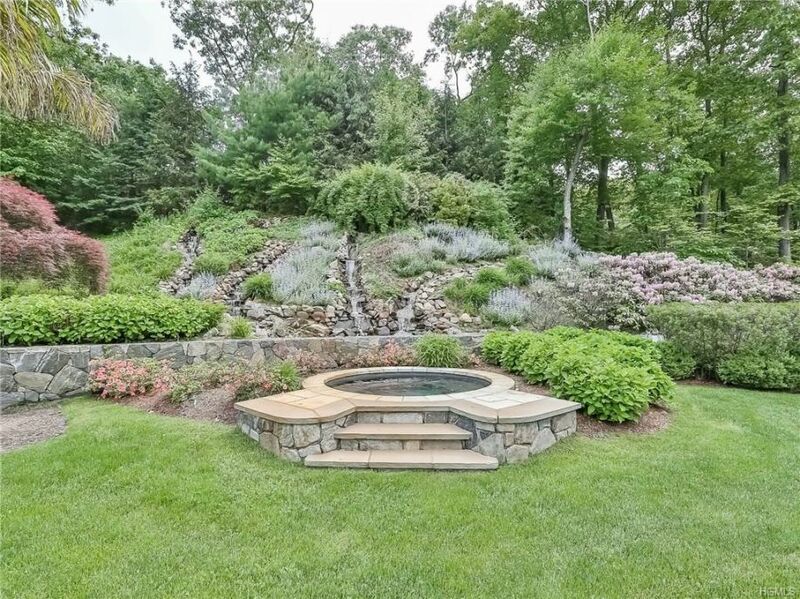 This gorgeous natural stone patio surrounding a beautiful waterfall fountain is a great example of how you can add cool landscaping elements to your yard that seem like that could have always existed there. The garden water fountains that this homeowner added fall into a pond feature with some lovely tall grasses and other aquatic plants. 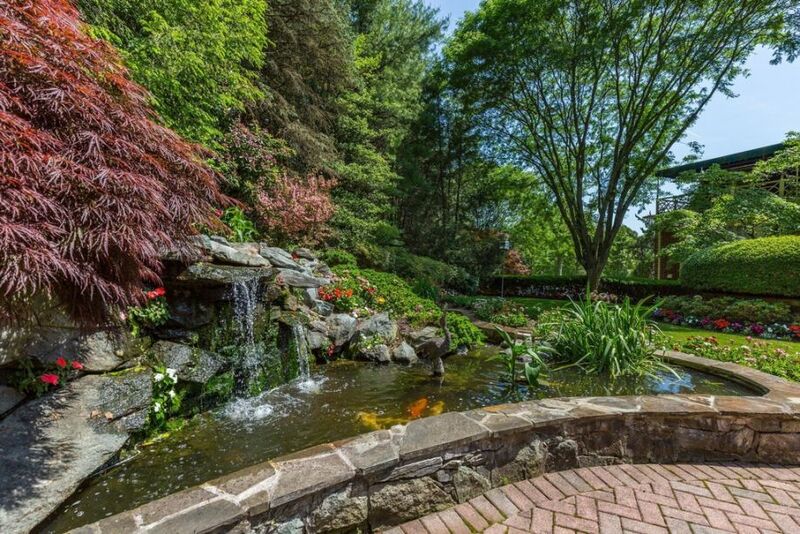 However, you could easily replace that pond with a lagoon-style pool for an even more upgraded and functional option. I am not known in my circle of friends to be an expert DIYer, but I must say that I am extremely proud of myself for building this small fountain in our backyard. My wife has been looking at garden water fountains for years, hoping that we would find the time and money to incorporate one of these into our backyard. I thought it was a great idea, but was just a bit too intimidated to tackle it. I found some really easy directions for a simple circular water features on here and went to my local Home Depot to ask the guys what I would need to do it. The biggest hurdle to overcome was actually planning out the design, the assembly was fairly easy and only took me one weekend. 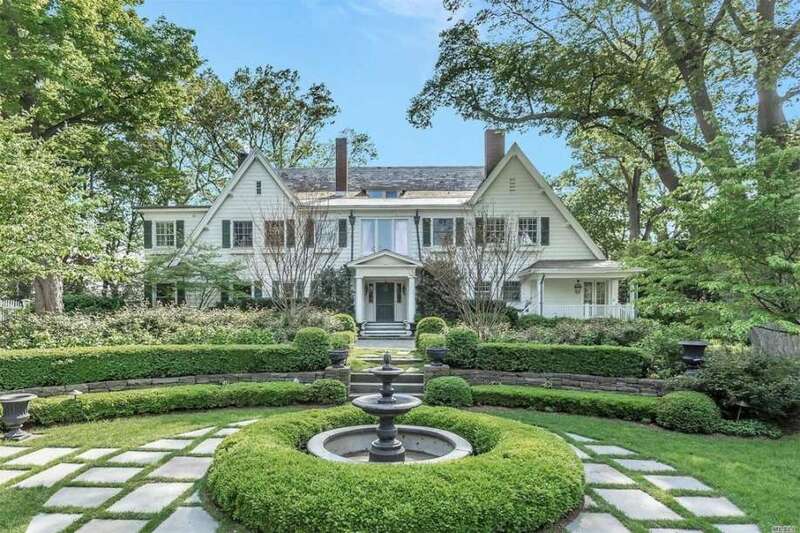 I love properties that incorporate garden water fountains alongside their landscaping decor. 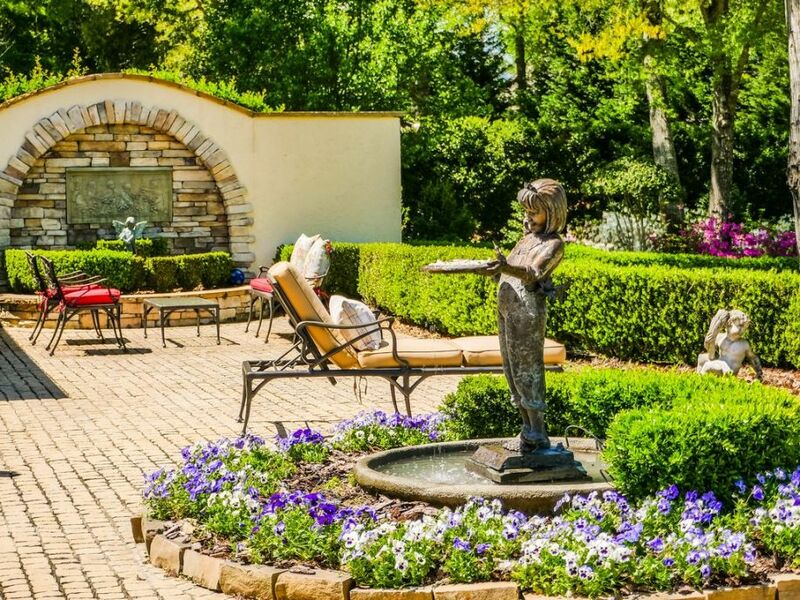 I think that garden fountains are such a lovely addition to any size or style yard because their relaxing sound, and pretty organic design make any space serene and relaxing -- two things that you certainly wish for in an outdoor retreat. This homeowner incorporated a fountain in a particularly charming way, nestling it beside a hidden deck tucked away between the two main portions of their home. It is like a whimsical hidden treasure, that only those who know about it can find. I definitely want to figure out a way to hide miniature pond fountains throughout our large property, so that friends and family can stumble upon them as they stroll our grounds.